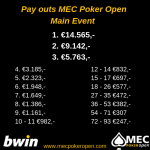 Seatdraw and pay outs of the MEC Poker Open Main Event april 2019. 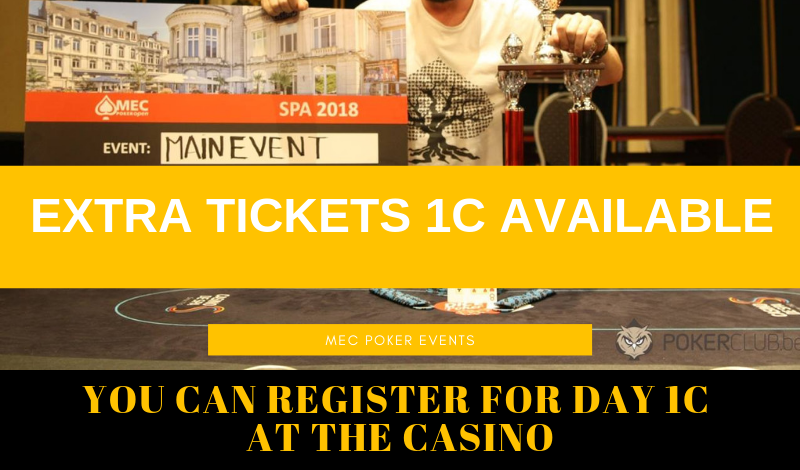 We have extra tickets available for Day 1C of the MEC Poker Open! A couple of players have transferred their tickets from day 1C to 1B, which resulted in extra available tickets for 1C. We also made some extra tables available for day 1C tomorrow. This means that you still can register for day 1C. We also expect to seat about 50 alternates tomorrow. Are you considering to play 1C? Don’t hesitate and make sure you are here tomorrow at 12.00 to register for the event. Dont forget to share this message with your friends. 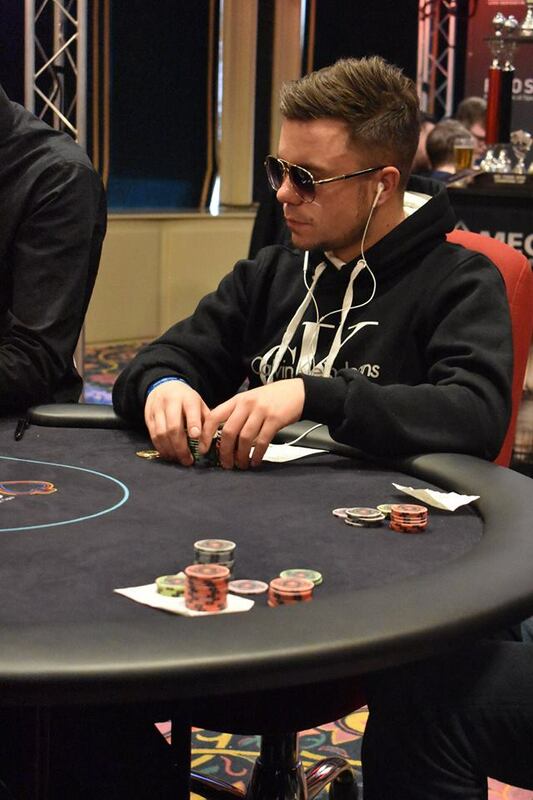 We hebben extra tickets beschikbaar voor dag 1C van de MEC Poker Open! Een aantal spelers hebben hun ticket van dag 1C naar 1B om laten zetten. Hierdoor hebben we een aantal extra plaatsen vrij voor dag 1C. Daarnaast hebben we extra tafels beschikbaar gemaakt voor morgen. Dit betekent dat je je nog steeds kunt registreren voor 1C. Ook verwachten we morgen ongeveer 50 alternates (spelers op de wachtlijst) te kunnen seaten. 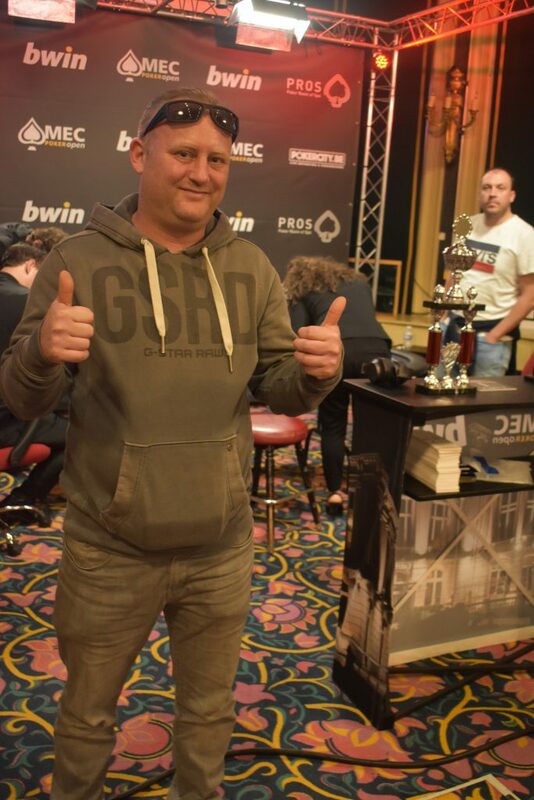 Overweeg jij om morgen nog mee te doen aan dag 1C van het MEC Poker Open Main Event? Twijfel niet en zorg dat je morgen om 12.00 uur in het casino bent om je te registreren voor het toernooi. De online ticketverkoop is gesloten. Je kunt je morgen vanaf 12.00 inschrijven voor het toernooi en de alternatelijst. Who will be the succesor of Danny op 't Hof as the new champion? 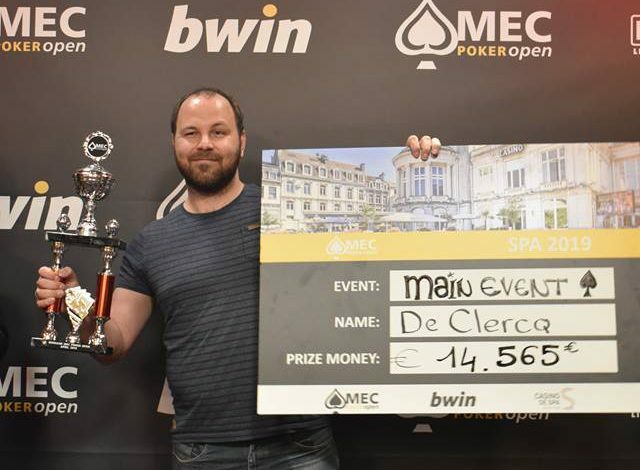 The second edition of the MEC Poker Open will take place at 4 – 7 April in Spa, Belgium. The firs edition was a great succes with almost 600 entries and is nominated for the Belgian Poker Event of the year! 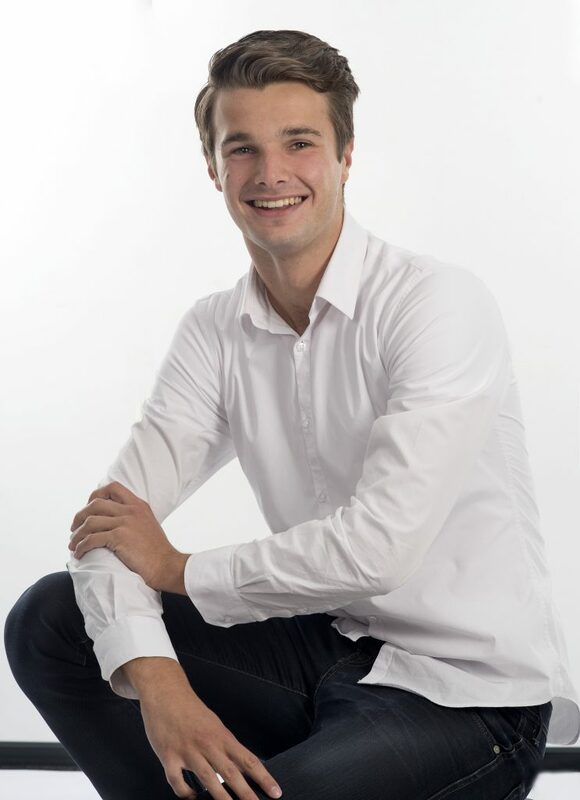 Danny op ‘t Hof was crowned as the champion and is keen to succeed his succes from last year. The upcoming edition has some big changes. The main-event is now 4 days long instead of the previous 3 days. That means that you can enter the tournament on Thursday, Friday and Saturday. Day 2 will be held at Sunday. We are giving you a free ticket for the MEC Poker Open satellite that will be held on the 31st March. Depost 25$ of more on Bwin with the code: MECPOKEROPEN and receive a free ticket of $11 for the MEC Poker Open satellite. Last week we announced our partnership with Bwin. The new partnership with bwin will include online promotions, online events and satellites to future stops for bwin customers. 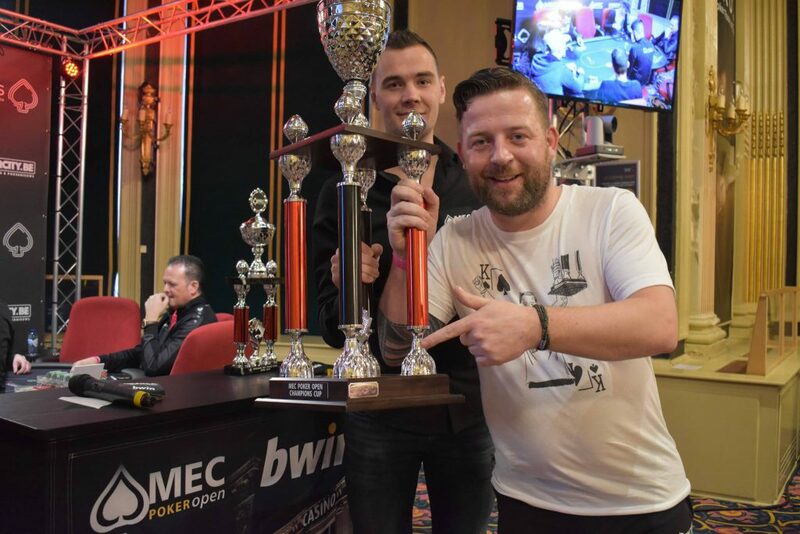 April marks the start of bwin poker’s first ever collaboration with this new poker tour, giving poker enthusiast from across the Belgian region lots to celebrate this year. The new partnership gets going from 4th -7th April at the next stop in Spa, Belgium. The final day will have a livestream you can find on the bwin poker website. 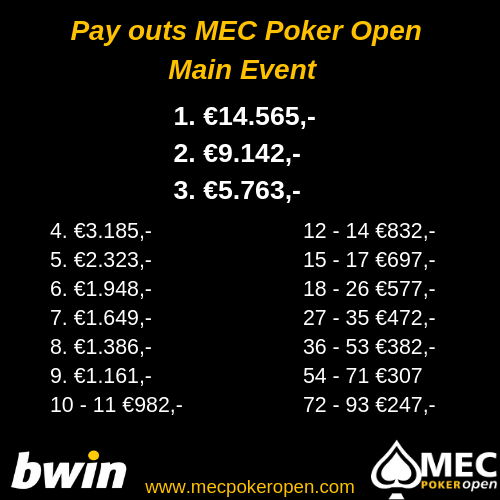 On the 31st March players can qualify for the MEC Poker Open main-event on Bwin. There is sattelite tournament in the poker lobby with a buy-in of $11 with 3 seats guarenteed! If you already have bought your main-event ticket, you can also choose to play the satellite! If you win a ticket in the satellite, you get your original buy-in back! 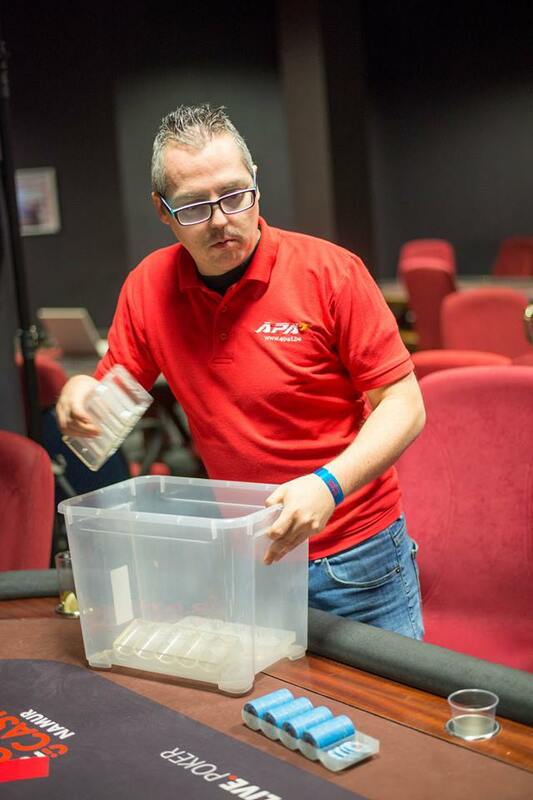 Watch the livestream at day 2 to watch your favorite pokerplayer! We can’t wait for the MEC Poker Open to start and are very excited to make it an event can remember for years. With the livestream and partnership with Bwin we expect to make this event even better and bigger than last years edition and hope to see you next week in Spa! 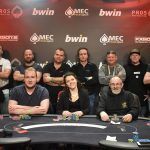 Today Bwin and MEC Pokerevents announced cooperation in sponsorship for the MEC Poker Open events which are held in Casino de Spa, Belgium. 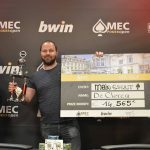 The MEC Poker Open is a poker tour based in Belgium and is aimed at (semi)- recreational poker players who prefer to play a high quality, low buy in casino tournaments. This ensures that a great poker experience is guaranteed for all players. The new partnership with bwin will include online promotions, online events and satellites to future stops for bwin customers. 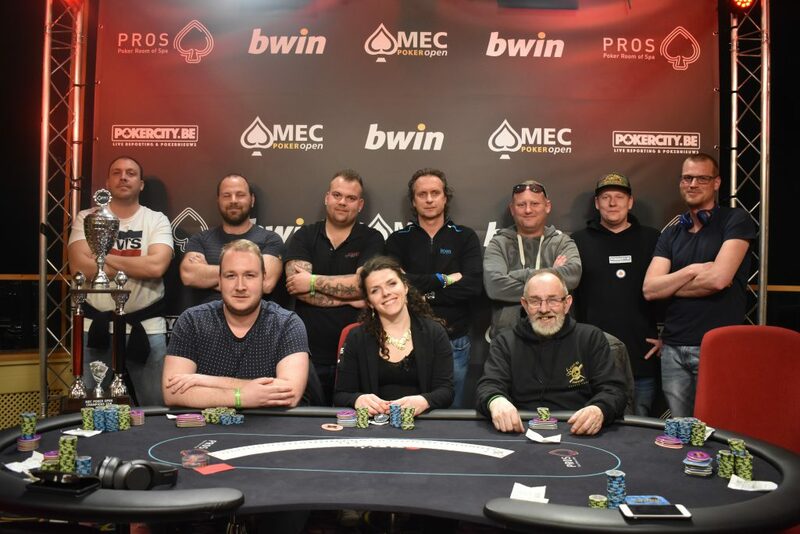 The first MEC Poker Open event held in October 2018 sold out in record time, which caught the attention of bwin poker. 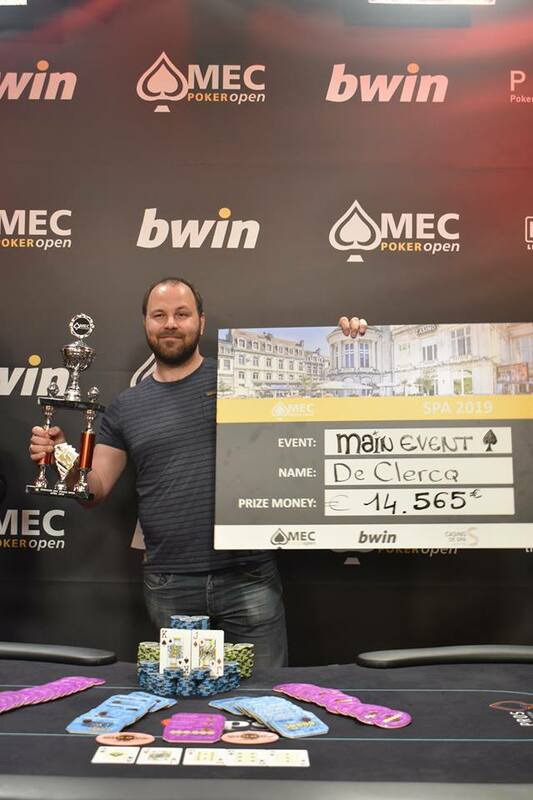 Every MEC Poker Open event features exciting tournaments, bounty events, and cash games, with an emphasis on having fun and enjoying poker in one of the oldest casino ambiances of Europe. bwin players will be able to start competing in online satellites starting from 31st March with a direct seat only qualifier, 3 seats guaranteed and $11 buy-in. Join the sattelite for the MEC Poker Open! Players will also find online qualifiers for future MEC Poker Open stops exclusively on bwin.